“The chart below shows the difference between estimated Global bond demand and supply. This mismatch aids in returns for fixed income, as more investors look to invest (creating more demand) with less supply to satisfy these needs. The left chart breaks down the sources of demand, showing that monetary easing has created a large portion of this demand as developed market central banks continue to purchase bonds to stimulate their economies. Formed in 1974, Harvard Management Company (HMC) manages Harvard University’s endowment and related financial assets. Here is the excerpt from HMC website and Annual Endowment Report 2014. “Over the long term, HMC has produced excellent investment returns for the Harvard University portfolio. The annualized return on the endowment over the last 20 years has been 12.3% per year and the endowment was valued at $36.4 billion at June 30, 2014. In fiscal year 2014, distributions from the endowment contributed almost a third of the University’s operating budget. The following charts show historical investment returns and the total value of the endowment. “The fear of a rate hike is powered by the tacit assumption that rates along the entire yield curve will rise in tandem. Only such a parallel upward shift would raise discount rates on all cash flows from risky assets (e.g. equities and corporate bonds). Consequently, the present value of those assets would decline, if cash flows stay the same. Importantly, the Federal Reserve holds sway over only short-term rates through its setting of the federal funds rate. This policy rate may be affected more by Federal Open Market Committee assessments of economic growth than by inflation. In rate hike cycles over the past 20 years, Fed credibility may have been enhanced by the very act of raising rates in the first place. One indication is in the flattening of the U.S. yield curve. In each cycle, short rates rose more than long rates. Interestingly, in two of the past four hike cycles, the longer part of the curve (10-year to 30-year) declined in yield. A parallel shift in the yield curve is as rare as receiving the equity market’s long-term average annual return in any single year. Most likely, a future federal funds rate hike will not translate into higher rates all along the curve. “High-yield bonds may look like other bonds, but they don’t necessarily act like them. High yield is not closely correlated with interest rates, and in fact, the asset has done well historically during periods of Fed tightening. Over time, the high-yield market exhibits a reasonable correlation to equities, as both are strongly linked to the business results and fundamentals of the companies they represent. 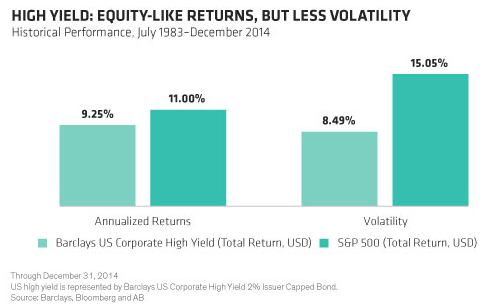 But here’s something some investors may not realize: over the past three decades, high-yield bonds have delivered equity-like returns with much lower volatility“. 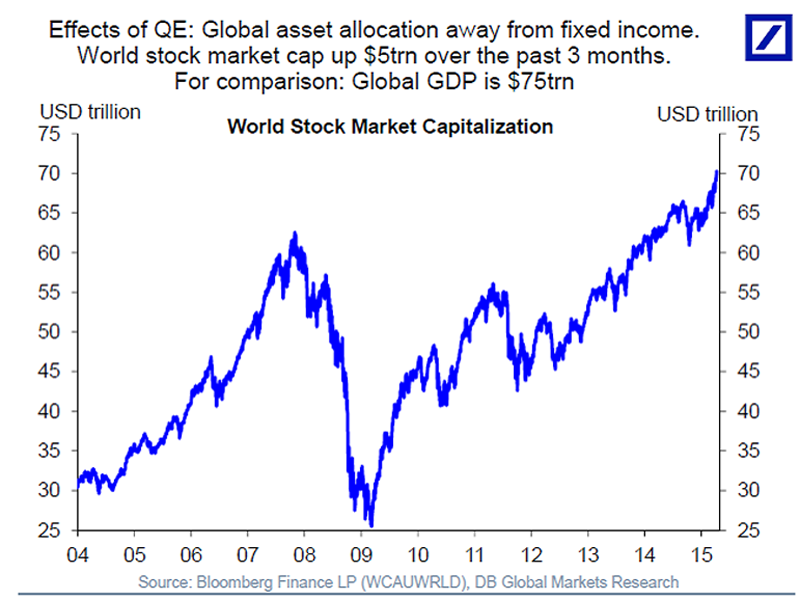 “Many investors fear that higher valuations suggest that a bear market is imminent. But history suggests that bear markets more often result from factors external to the stock market, such as recessions, wars and credit bubbles. There have been ten pullbacks of approximately 20% or greater since the 1920s. Instead of trying to time the next market correction, investors should stay diversified to protect one’s portfolio against unforeseen market shocks”.